Martial Arts life 55 years memory. Tetsutaka Sugawara was born in Hokkaido in 1941. He began training Aikido in 1960 at the Hombu Dojo (Tokyo) and in 1961 he became an in-house student (uchideshi) of Aikido founder Morihei Ueshiba at the Ibaraki Dojo (Ibaraki Prefecture). In 1964 he returned to Tokyo and entered Chuo University. He established “Minato Research and Publishing Co.” (currently Sugawara Martial Arts Institute, Inc.) in 1973. In 1975 he entered the Tenshin Shoden Katori Shinto-ryu, receiving the teacher’s license (menkyo kyoshi) in 1986. He has also trained Okinawan Goju-ryu karate-do, receiving the instructor’s license in 1992 from Yasuichi Miyagi. In 1992 Sugawara Sensei introduced Aikido to Shangai Institute of Physical Education, Beijing University of Medical Science. And in 1993 he introduced Aikido to Wuhan Institute of Physical Education, Fujian University of Traditional Chinese Medical Science in China. He has received the Lecturer’s License of Shangai Institute of Physical Education. 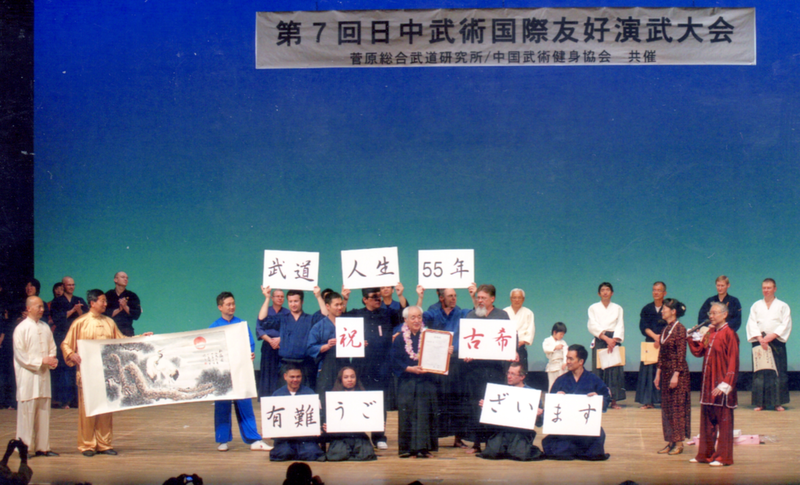 In 1995 he was awarded 7th dan in Aikido by Kisshomaru Ueshiba (Second Doshu of Aikido). In addition to his extensive training in the Japanese Martial Arts, Sugawara Sensei has also studied Taijiquan and other Chinese Martial Arts under Professor Xing Yanling of Fujian Medical Science University since 1989. 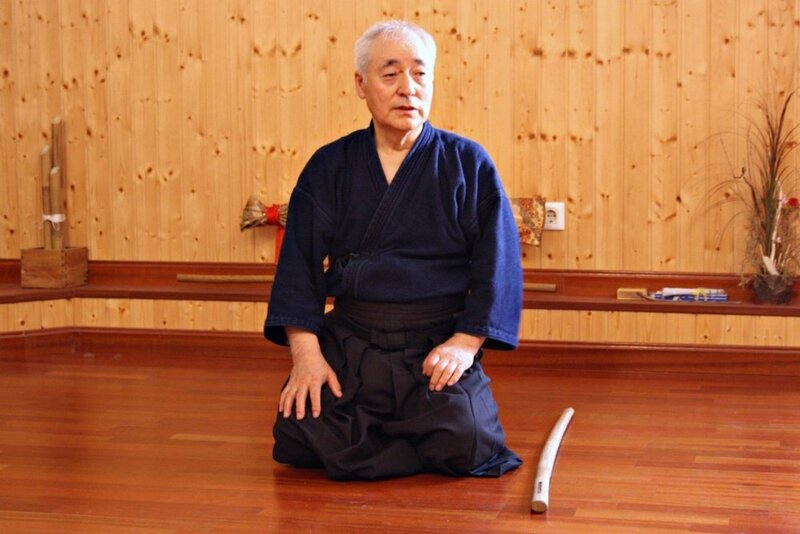 As a result of his profound exploration of the breadth and depth of martial arts principles and their application during more than fifty years of martial arts study, Tetsutaka Sugawara has created AIKIDO-TAIJIGONG, single motion and partner Kaeshiwaza 42 forms, and also weapon Kata, Kumijo No. 1 to 8 which includes Jo 31 count of Founder Morihei Ueshiba, Katori weapon techniques, and then created Varied Kumijo and Jo-ai techniques for aikido students. See video clip. Sugawara Sensei lives and teaches in Japan and travels regularly to teach Aikido and Katori Shinto-ryu techniques in the United States, Canada, Finland, Sweden, Spain, Russia, Greece, Bulgaria, Hungary, Philippines, Malaysia and Korea.